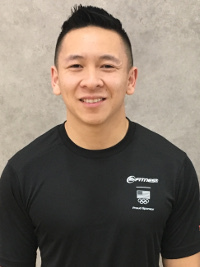 24 Hour Fitness Personal Trainer Bio Hoang T.
Fitness is not a fad, it is a lifestyle. After starting my path towards living a more active and healthy life I found I was more confident, comfortable and lively. Through exercise I was able to create a better version of myself and continue to progress. My goal as a personal trainer is to help others achieve a better quality of life and realize their potential through exercise and movement. My knowledge and experience in rehabilitation, strength raining and weight loss will help others realize their latent abilities. I strongly believe that nothing is more important than ones health and well being. If I could invest in one thing, I would invest in myself. How about you?